In his early twenties, Jackson moved from Texas all the way to Portland, Oregon to be with Jessica. I’m not sure about you, but for a guy fresh out of college to do that… well that’s love right there. And they’ve been together ever since. To capture their special day, we made a trip up to beautiful Portland, Oregon at the end of June. The two were incredibly nice to us, making us feel right at home from start to finish. 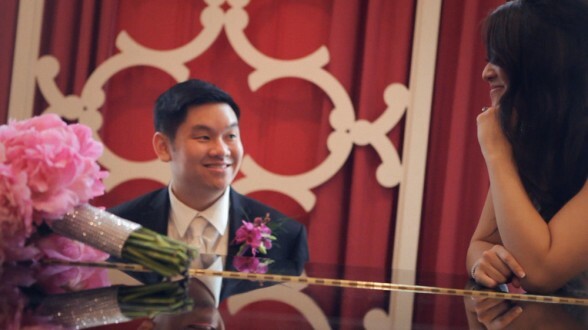 The song choice was a personal pick by Jessica and Jackson whom, upon hearing it on their wedding day, felt it perfectly captured their relationship and journey together. A bit of rain put a small damper on being able to shoot outside early on in the day, but that didn’t stop Jessica and Jackson from having a blast at their reception. Not only did the two sing a duet together, but Jackson also had a surprise for Jessica, serenading her with an All-4-One classic with the help of his groomsmen. Congratulations again, you guys! We wish you both all the best!